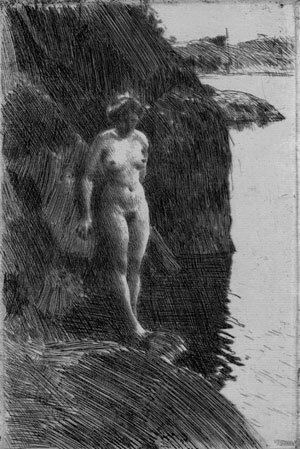 Etching, 1909, Hjert & Hjert 252. Second state. Signed in pencil.